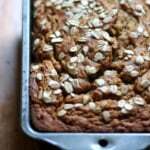 Whole Wheat Oatmeal Applesauce Banana Bread: No butter, oil or sugar added. Naturally sweetened with honey. This hearty bread is amazing and one of my most pinned recipes. 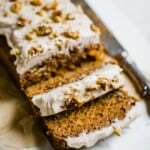 Carrot Cake Banana Bread with Thick Cinnamon Cream Cheese Frosting: Yep, carrot cake meets banana bread. Many love to make this one into muffins. Make it and love it! You can also use coconut sugar instead of brown sugar. Honey Whole Wheat Banana Bread: This is the best of the best. I based my Skinny Banana Chocolate Chip Muffins off of this recipe because it’s a complete winner. You’ll use greek yogurt, honey and a tablespoon of healthy oil. 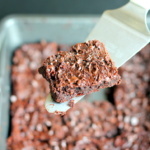 It’s easy to make and you can add chocolate chips, blueberries, or whatever your heart desires. Kiddos love this one! Strawberry Coconut Chia Seed Banana Bread: This banana bread is perfect for spring. You can replace the all purpose flour with whole wheat and add a few more tablespoons of milk. Also try using coconut sugar in place of brown sugar! 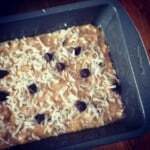 Banana Bread Chocolate Chip Oat Bars: These bars are great for snacking or a low sugar breakfast treat. 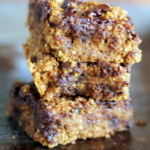 They’re made with oatmeal, bananas, applesauce, honey and a little oil. YESSS. Question: What’s your favorite flour to use when making banana bread? I’ve been obsessing over coconut flour lately! 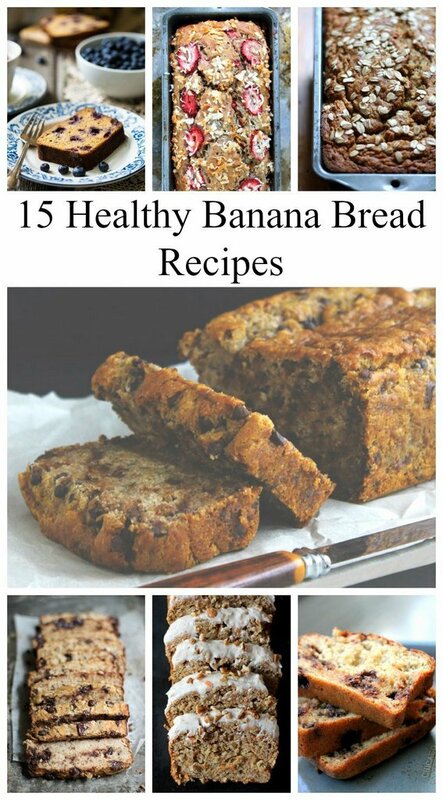 For more banana bread recipes, follow my banana bread board on Pinterest! 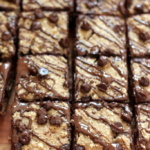 Follow Monique Volz | Ambitious Kitchen’s board Banana Bread Baby! on Pinterest. 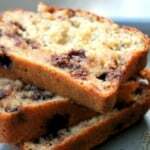 17 Responses to "15 Healthy Banana Bread Recipes to Try"
Thanks for including my Blueberry Banana Bread! These all look BOMB. Pinned! You need to add in those Chocolate Chip Banana Bread Muffins because they were INSANE. They are mentioned in there! Banana bread is the only way I will eat bananas! Cannot stand them on their own, but there is something about chocolate and banana and nuts in bread that makes me want it all the time! Great roundup! I can’t decide which to try first!!! Banana bread is my favorite quick bread! Love this round-up. I LOVE banana bread, thanks for all the yummy recipes!